Talisman Farm : I won a blogging Award! 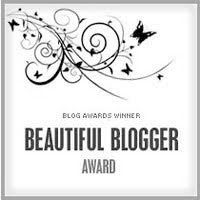 Pass this award on to 15 bloggers (I have chosen 13) you've recently discovered and whom you think are fantastic! State 7 Things about yourself! I breed horses & LOVE it! I live 1km down the road from the in-laws and think it's great!